Gail's Good Yarn: On your mark, get set, WAIT!! 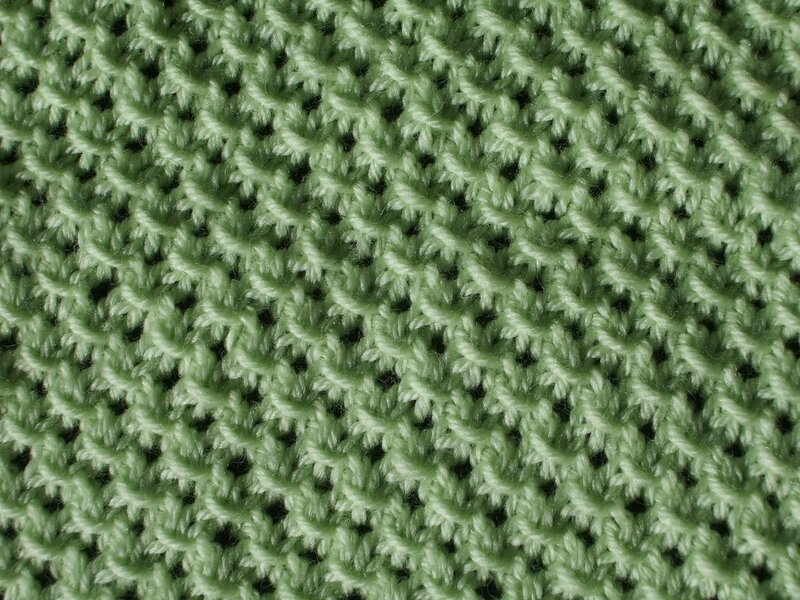 I am waiting for the Heilo yarn I ordered for my husband's sweater. Why is it that before I start a big project I feel that I have to clean house, my knitting house that is? I can't just gleefully abandon old projects, to let them molder in some corner? I'm stuck in a project completion mode, trying to "bring to a close" little projects in various knitting bags scattered throughout the house. 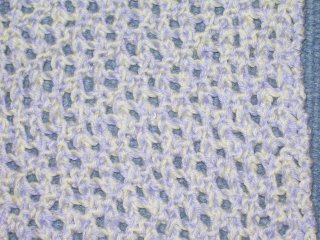 Of course, I ignore my brother's Alice Starmore aran sweater, where I need to think about how to shape the arms to match the "on the fly" shaping that I optimistically gave to the armholes a year ago. That project is buried deep in my bottom drawer. No, I am concentrating on the little projects that are easy to finish. Like these socks, out of yarn that I bought in Norway in 2001, using my favorite pattern from Socks, socks, socks. 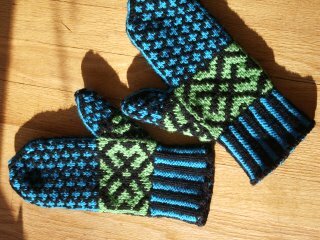 And then there are these Komi mittens, the ones where I cut off the cuff last week. I finally sewed in all the ends. 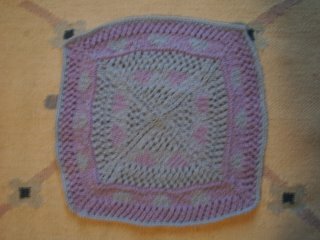 And, more progress on the WTBCLB--Square #12 has come in. 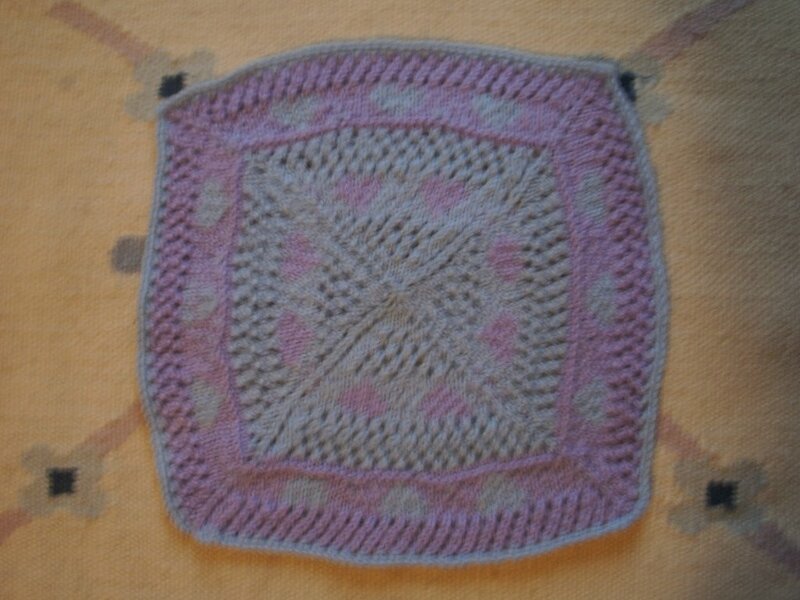 Geke used a stitch pattern from a Dutch knitting book. 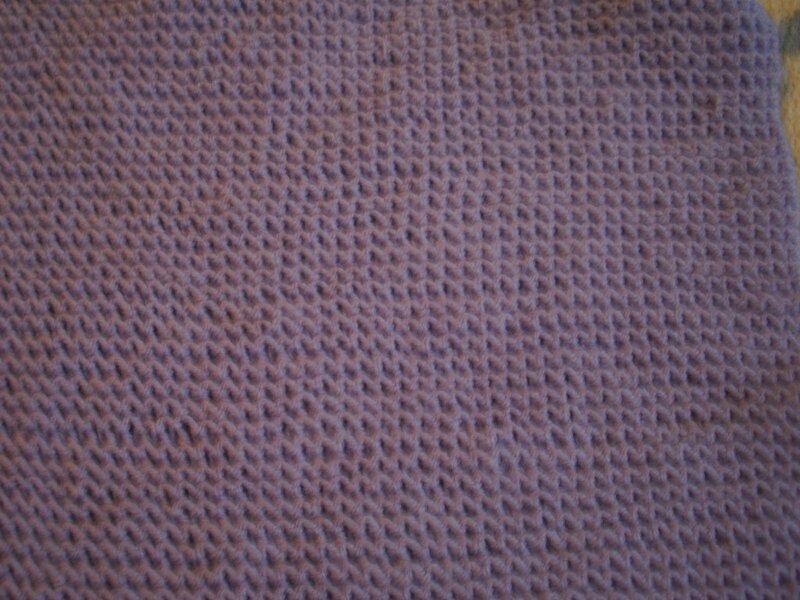 And, she gave it to me on the same day that the same pattern, I think, was on my 365 stitch pattern calendar!! January 8. 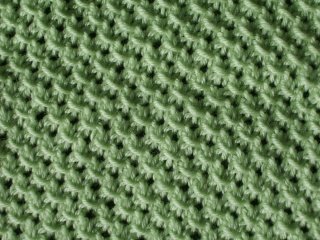 WTBCLB #13 is from Diana, a beginning knitter, in garter stitch. 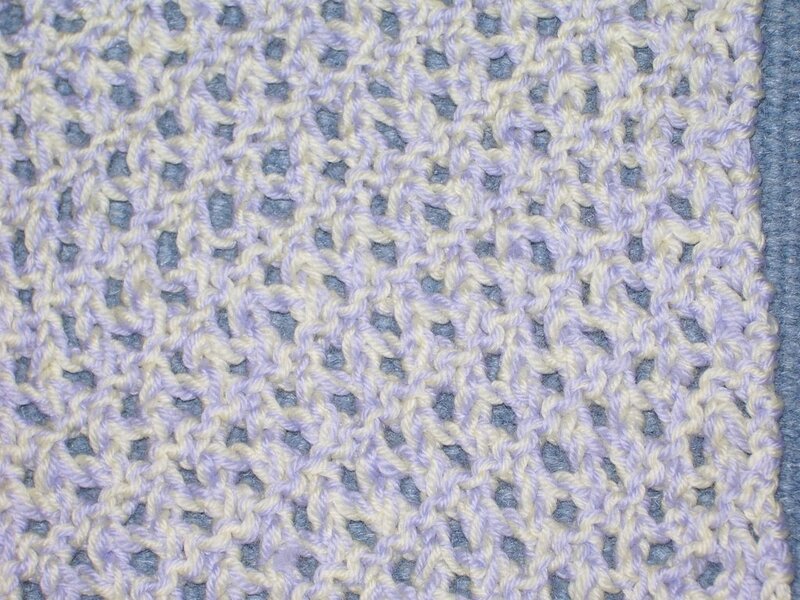 the color is the lovely light lavender, but both my camera and the monitor have distorted the color. Sorry! 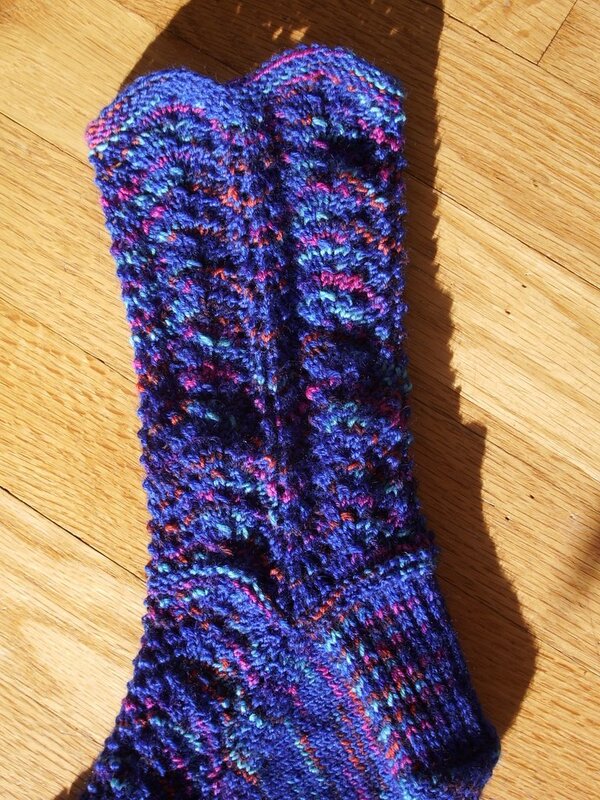 WTBCLB #13 is from Alice, who tried knitting from the center outwards for the first time! 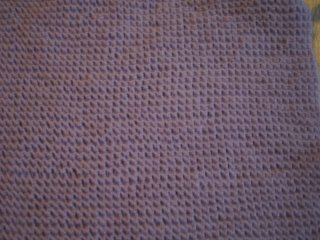 And, Amy used two strands and a diagonal open knit to make the square. WTBCLB #14.
and this merin yarn... i'm drooling over it! 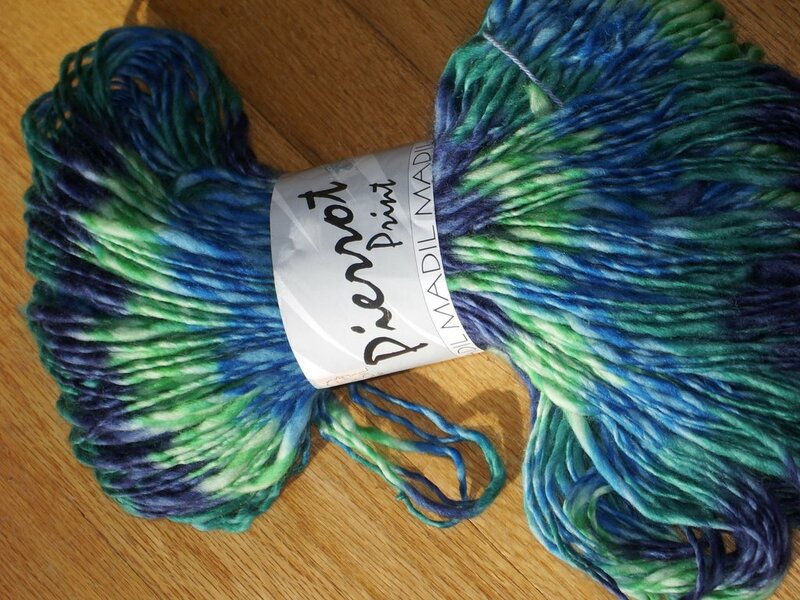 what will you knit with it? 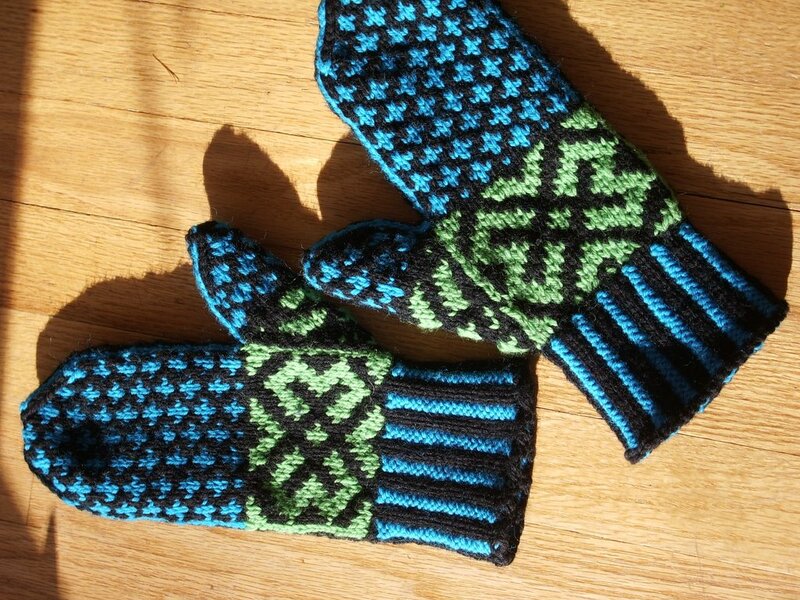 Those mittens are just about spiritually moving.